Square Blur is a powerful, but still very easy to use photo editor and blur maker. Create amazing high quality pictures and blur photo grids using magic effect, body building, backgrounds and blur frame. Square Blur - Magic Effect Blur Image Background is a amazing blur background maker. In Square Blur effect you can add multi layered blur frames to background to give a very creative look. It allows you to adjust blur radius as per your requirement. Blur Photo Square is a amazing blur background maker. 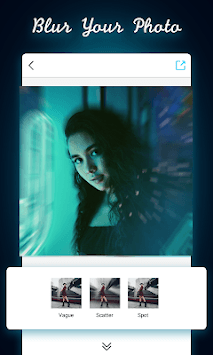 In blur photo effect you can add multi layered blur frames to background to give a very creative look. Use awesome and fancy filters and Effects to record beautiful moment in your life. Like Leak Effect, pencil sketch, Shine Sparkle,flashing, winter and rainy etc. You can shoot photo and editor photo with impressive glitter effects easily. Colorful effects like Winter, rainy, illumination,firework etc, make your photo become magic and fashion. 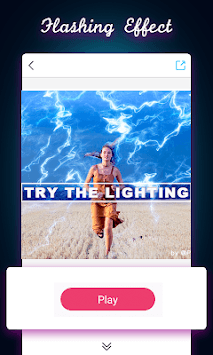 Square Blur - Magic Effect Blur Image Background editor provides live filters and take magic photos with selfie filters. Stretch your body,slim your body,enlarger your eyes. Square Blur - Magic Effect Blur Image Background real time photo taking with vantage filter，winter filter，beauty filter and many cool scenes etc. Square Blur - Magic Effect Blur Image Background is a camera for android that is easy to use to make your photo more perfect. Because the application is equipped with a very complete tool.You can take beautiful selfies anywhere and anytime!